Rooster Cogburn: ” A genuine original worn by a genuine gentleman. 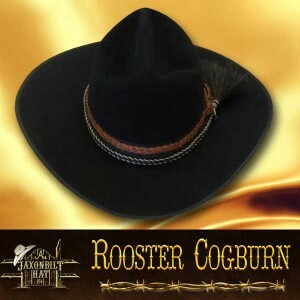 The Rooster is a classic hat. 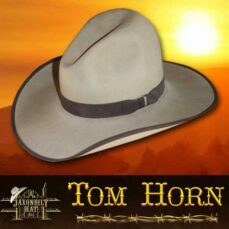 The crown and brim is our best interpretation of how this great hat is shaped. This uniquely styled hat has a 6″ open crown and a 4″ brim. Our version, has a crown ribbon with a horse hair band over the top. 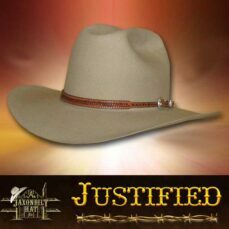 Optional horse hair stampede strings or braided leather stampede strings are available. We know you will like the Rooster. Call for your free conformer kit today.